This is the kind of ‘based on a true story’ film I gravitate to – one that informs its viewers of a person or event that the world would mostly likely never have heard of, it not for one particular film. “The Fencer” falls in that category. 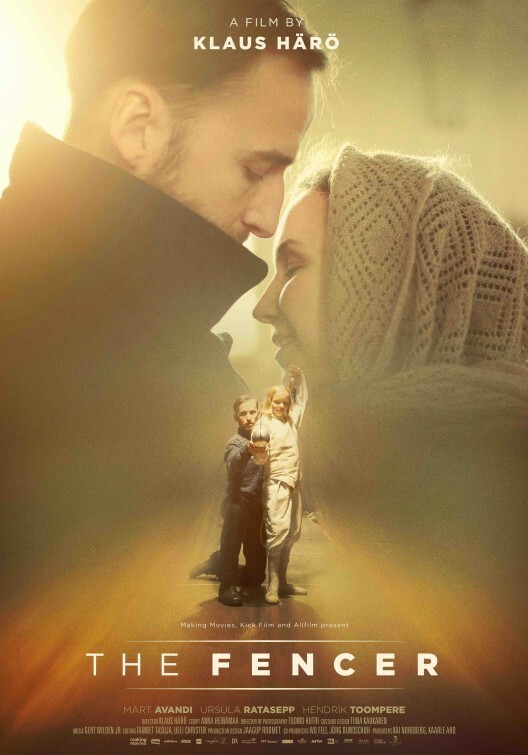 The film was selected as the Finnish entry for the Best Foreign Language Film for this year’s Oscars, but was not nominated, even though it made the December shortlist of nine films. Add it to the list of the many great foreign films that didn’t make the cut. 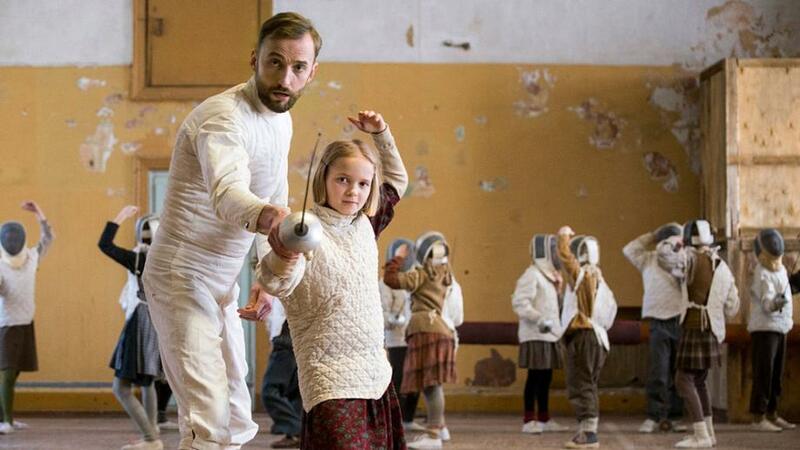 “The Fencer” takes place in Haapsula, Estonia in the Soviet Union of the early 1950s, during Stalin’s reign and focuses on a young sports instructor with a mysterious past named Endel Nelis (Märt Avandi), who is teaching the young children in his charge fencing. The mostly fatherless children (due to Russian occupation) are eager to learn but lack confidence, yet Endel lacks patience and is frustrated by the lack of support he receives from the school’s stubborn principal (Hendrik Toompere), who secretly investigates Endel’s past. Lacking equipment, Endel receives a generous donation from his friend, Alexey (Kirill Käro), and soon the children are no longer practicing with tree branches. As the children improve in their fencing skills, they become attached to Endel – as does Kadri (Ursula Ratasepp) another teacher at the school – looking to him as a father figure and in return, he too begins to care for them dearly as they have opened his heart. The children yearn to compete in a tournament in Leningrad, which could jeopardize Endel’s future, since that is where he has run away from. Ended must make a choice that will either risk his fate or disappoint the children. This being an inspirational and moving true story, it’s quite obvious where the story is headed, but the strong screenplay from Anna Heinämaa and assured hand at directing from Klaus Härö – not to mention the fine children Märt Avandi gets to work with, particularly Joonas Koff and Liisa Koppel – make “The Fencer” a thoroughly enjoyable viewing experience, akin to old-fashioned underdog tales. Elevated by fine cinematography from Tuomo Hutri and a beautiful score by Gert Wilden Jr., “The Fencer” is a wonderful, inspirational film that smartly relies on strong characterization and a compelling story. Great review and I agree with your conclusions. Its a tense and sensitive portrait of quiet heroism. Sure, it follows the ‘inspiring teacher’ genre forumla and to that extent is predictable. But this is an original take on a cinematic cliche and merits respect for its achievement.